On March 7, 1971, with $500, a rented storeroom and a few pieces of used equipment rescued from the snow and ice of a Pittsburgh scrap yard, Jim Fox fulfilled his lifelong dream of opening a Pizza shop in his hometown of Pitcairn, Pennsylvania. As the first Pizza slid from the oven at 4:00 that afternoon, he had no way of knowing that he'd be sold out just six hours later, making Fox's Pizza Den an instant success. 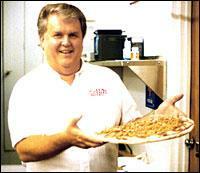 In 1973, Jim opened a second Fox's Pizza Den in nearby Harrison City and a third in East Pittsburgh. With the opening of his fourth location in Swissvale, Jim introduced an innovative concept that would revolutionize the Pizza industry in the Pittsburgh area -- home delivery. As word spread, friends began calling Jim about opening franchised Pizza shops. Realizing that franchising could help others reach their dreams of independence, Jim incorporated Fox's Pizza Den in 1974. Now celebrating our 35th anniversary, we see it hasn't stopped growing. Today there are more than 265 franchises including Oakland, United States operating coast to coast in 28 states with annual sales topping $128 million. Fox's Pizza Distribution, formed in 1986, provides the franchises with consistent high-quality product and reliable distribution enabling fox's 1,950 employees to sell over 60,000 Pizzas and 30,000 sandwiches weekly. 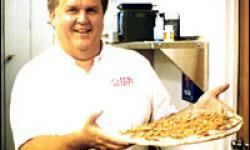 Click here to view more details on Fox's Pizza Den, Inc.